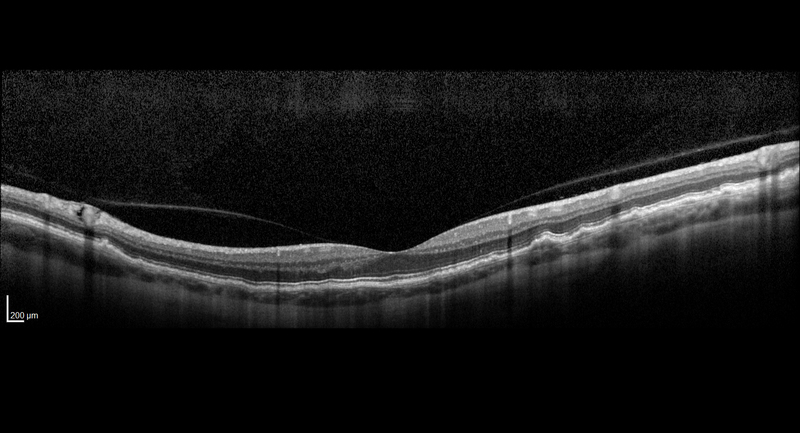 55 year old with acute vision loss from a CNVM in the right eye. He responded to Lucentis therapy. His mother and her family has been confirmed genetically to have L-ORD and were part of the early reports.